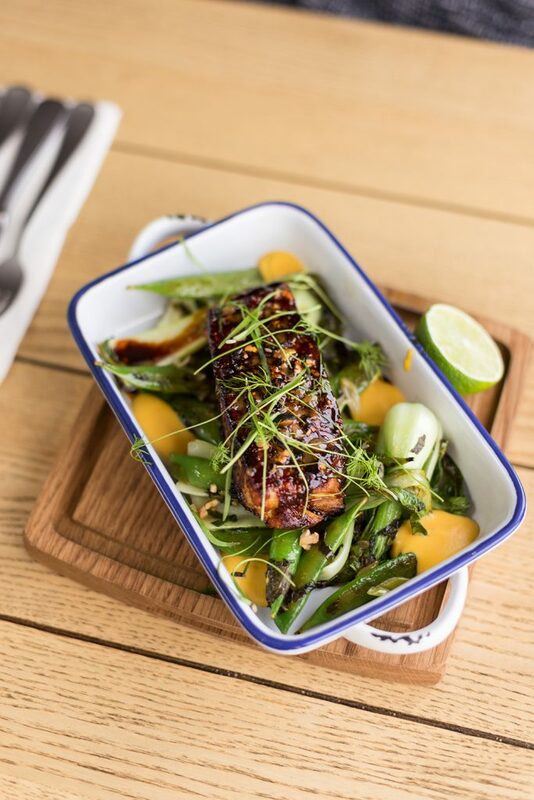 Peanut brittle is a real childhood favourite and this delicious recipe for Korean pork belly from Buttermilk and chef James Strawbridge is a new twist that everyone will enjoy on cold Autumn evenings. It makes use of one of the tastiest and most economical cuts of pork and we always buy local at Lobbs Farm Shop. Wonderful Cornish cabbage, thinly sliced and tossed in a wok with soy sauce and sesame seeds is also a tasty and healthy side dish. Peanut brittle is a versatile ingredient to play with in the kitchen. In this dish James used it to add sweetness to a Korean style BBQ sauce and finish the pork belly with some crackling texture. The spring greens and fresh mint work well with a sweet butternut squash mayo and the sticky, spicy and sweet pork. We would also recommend trying this recipe with confit duck or brushed onto chicken wings. Prepare the pork belly by removing the rind and marinading the meat with soy sauce, gochujang, honey, root ginger, fennel seeds, and rice vinegar. Leave for at least 4 hours or overnight in a sealed container. Preheat your oven to 170 ̊C and place the pork in a roasting tin covered with foil, adding a cup of water and roast for 2-3 hours or until tender. Remove your pork from the oven and increase to 200 ̊C. Then blitz your Peanut Brittle and add to the sauce in a small saucepan, reducing until sticky. Brush the Peanut Brittle sauce back over the pork and roast uncovered for another 20 minutes until caramelised. 4. For the hot salad simply toss the ingredients together in a bowl and cook in hot sesame oil using a wok or large frying pan. Serve the sliced pork belly on a butternut puree and garnish with your salad and more Peanut Brittle crumb. The departure of one million visitors means Autumn is time for the Cornish to take back their county again, while those of you who are holidaying here can savour the colours and mild temperature and enjoy the attractions more easily. No more having to plan when you travel and avoiding using a motorway on changeover days or worrying about finding a car parking space. Many of the beaches also relax their dog restrictions once the summer is over too. 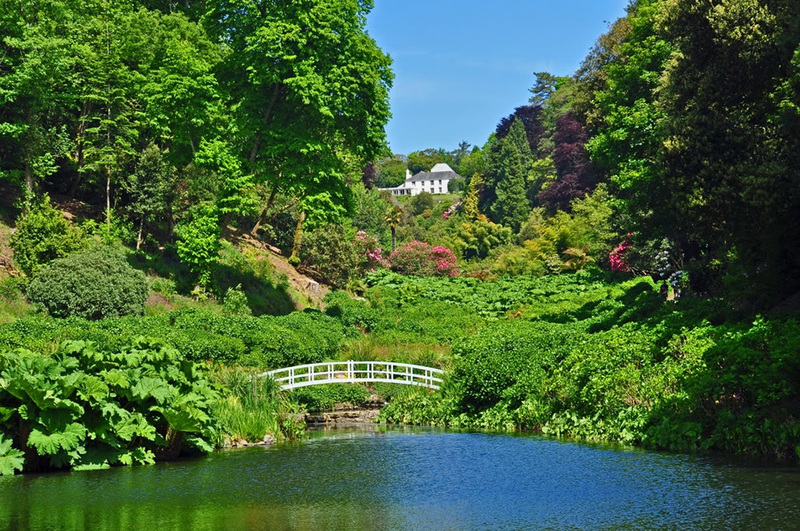 Our local attractions of the Lost Garden of Heligan, which you can walk to from Mevagissey, and The Eden Project still buzz with activities, but try exploring further afield. Trebah Garden at Mawnan Smith has a lovely walk through tropical gardens to a tiny beach. Dramatic rolling waves on North Cornwall beaches make a change from South Cornwall’s calmer waters. Fantastic if you are keen on surfing or fancy strolling along Watergate Bay, with breakfast at The Beach Hut or lunch at Jamie Oliver’s Fifteen restaurant, where tomorrow’s chefs are trained. Lovely St Ives also has a swathe of golden beach, but it is most famous for its artistic heritage. Only about an hour away in Autumn, it is still vital to check websites before visiting. We turned up at Tate St Ives once anticipating fisherman painter Alfred Wallis, only to find an obscure Japanese artist on show. Not the celebration of Cornwall’s culture we were hoping for. Opening times for many places may also have been changed, as illustrated by Tate St Ives being closed until Spring with around town art tours substituted. Just down the road from Tate St Ives, The Barbara Hepworth Museum and Sculpture Garden is still very much open though. While in an intimate setting at her former home and studio, it is a world class collection of her work with a fascinating history of her life and tragic end. 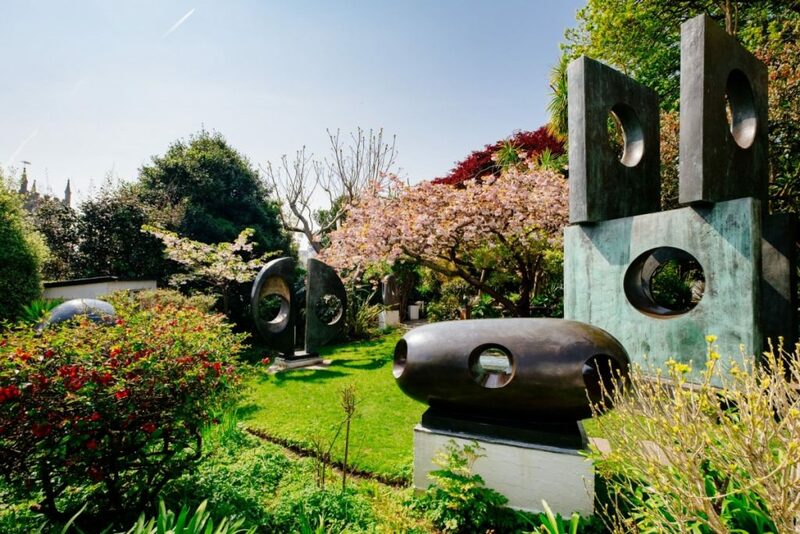 Like so many museums today, it is also family friendly with a Hepworth Family Activity Trail, a great idea which means today’s children have a happier introduction to the art world than those of us with memories of being dragged around galleries. 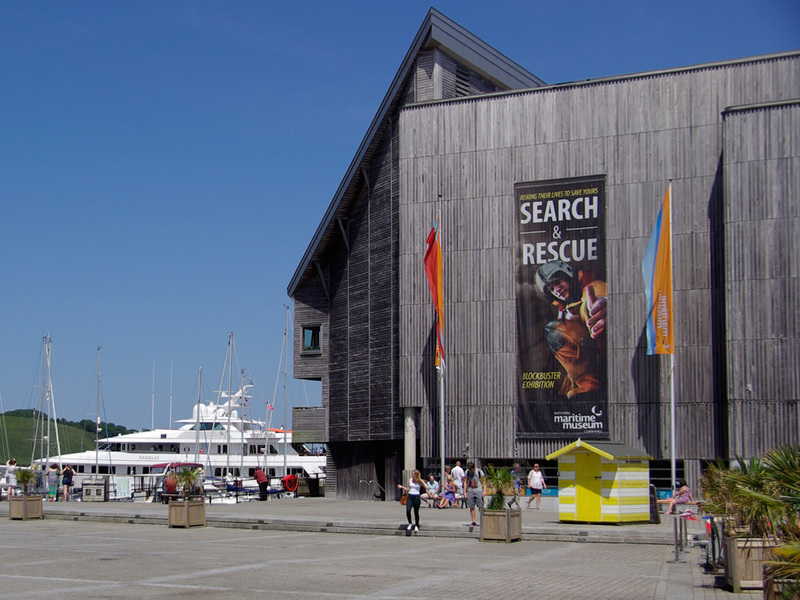 Throughout Cornwall there is a fantastic collection of museums, including Helston Museum on social history – they also welcome dogs – The National Maritime Museum at Falmouth and The Royal Cornwall Museum in Truro. They all work hard to provide interesting exhibitions and interactive events that make a first time visit fun and a return visit worthwhile. So no excuse for sad faces if the weather turns and beach time is not an option. 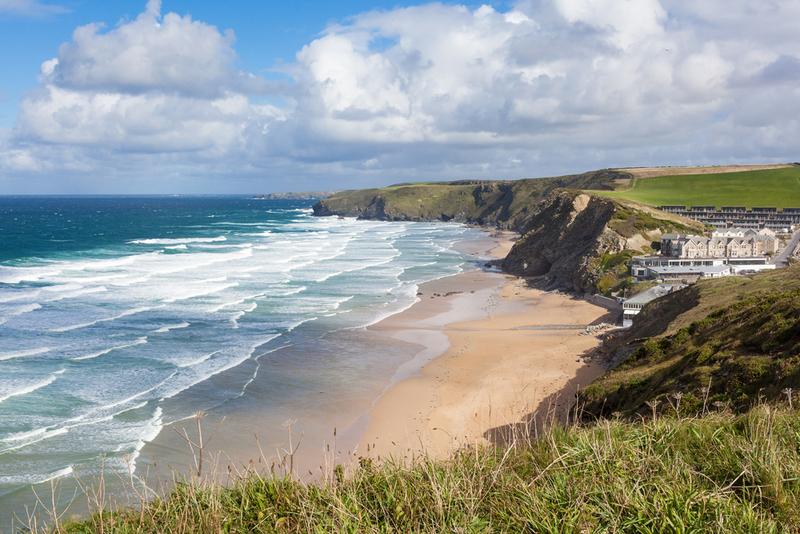 Although they do say in Cornwall there is every type of weather every day and as the county with the longest coastline, there will be a beach near wherever you have a day trip. Cornwall is also increasingly famous for its artisan food and drink producers and the Cornish Winter Fair in Wadebridge on Saturday 19th November is a great family day out. Taste samples at the array of foodie stalls and either treat yourself or start your Christmas shopping at the craft stalls stocked by talented artists of all types. There are plenty of farm animals, including the prime stock show, and you can have a go at milking a (mock) cow or grooming a pony. Entry is free, so you can go for as long or as short a time as suits you without feeling you have to get your money’s worth. 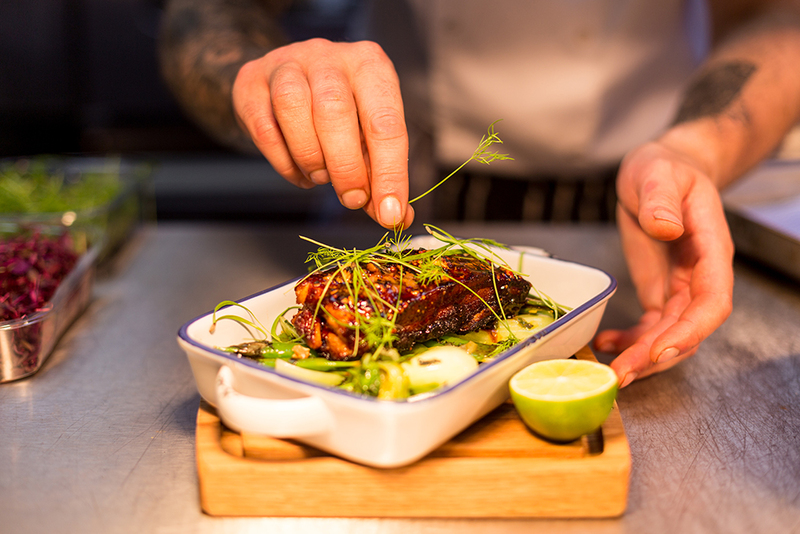 Every budget can be catered for at this time too for those who want to experience the creations of Cornwall’s exceptional chefs. It is easier to get reservations and there are special menus which explore seasonal produce and are very good value for money. In Padstow, Rick Stein’s St Petroc Bistro has three course charity lunches for £12.50, while Michelin starred Paul Ainsworth at No 6 has three course lunches for £26. 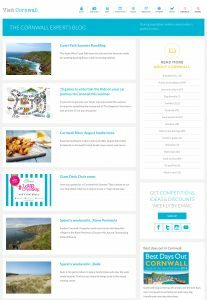 Fans of Nathan Outlaw should sign up to his Grub Club on line before visiting his Port Isaac Fish Kitchen to find out about special offers and get ten per cent off meals. Autumn really is a fabulous time here: truly accessible in every way. 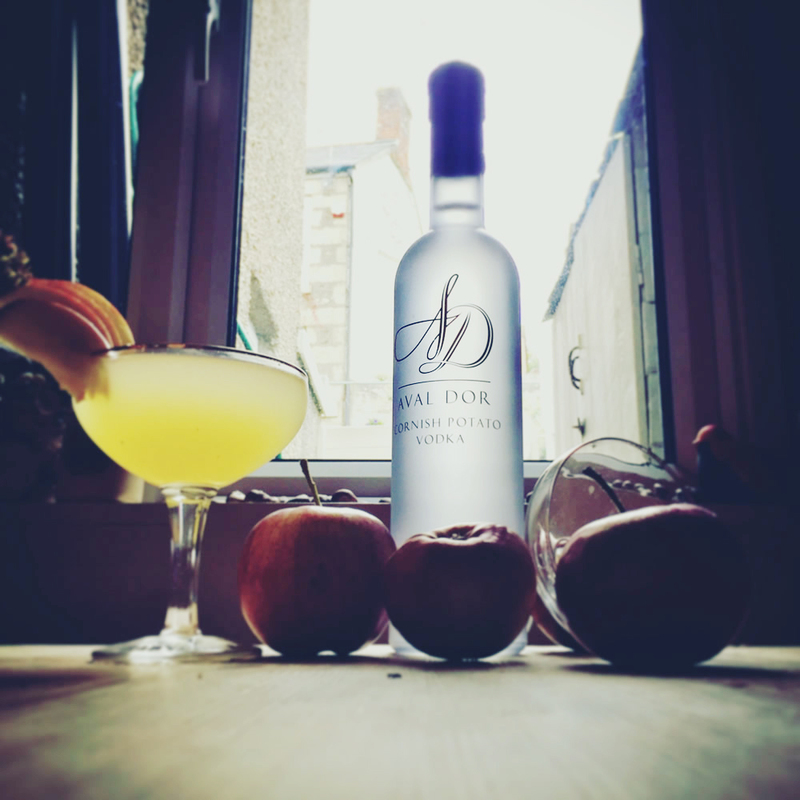 Everyone loves a cocktail and particularly one created by Beehive Bars that makes the most of Cornwall’s great artisan spirit producers. Beehive Bars was set up in the summer of 2014 by Jessica Rowe, aged 34 and Alex Logan, aged 29 – work colleagues at Wineincornwall.co.uk and great friends. Together Jessy and Alex have more than 20 years of working in events and hospitality, so when they were approached by Frugi, the Cornish children’s clothing company, to run a bar for an anniversary celebration they jumped at the chance; Beehive Bars was born. The hot weather over the 2014 summer made for great bar building weather and many a day was spent painting, waxing, sanding and hammering with a lot of help from Andy (Jess’s husband) and Nigel (Alex’s dad). The bar is made out of three old oil drums and scaffolding boards that have been nailed together sanded, burnt, and waxed. Why is it called Beehive Bars? On top of the bar sits two beautiful glass beehive drinks dispensers that will be filled full of cocktails like Limoncello Gin Fizz, Mojito and their signature drink ‘Storm in a Teacup’ which is a Beehive Bars spin on Rum & Ginger. When they started building Beehive Bars there were four factors that were very important to them. 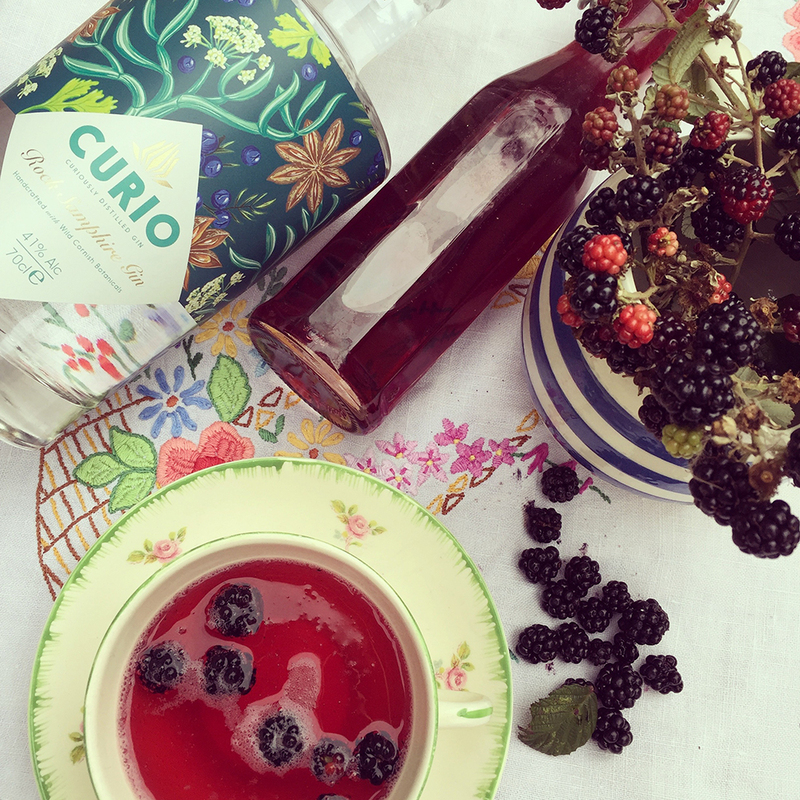 Knowing we grow blackberries, apples and Rosemary, Beehive Bars have created three delicious cocktails for us. 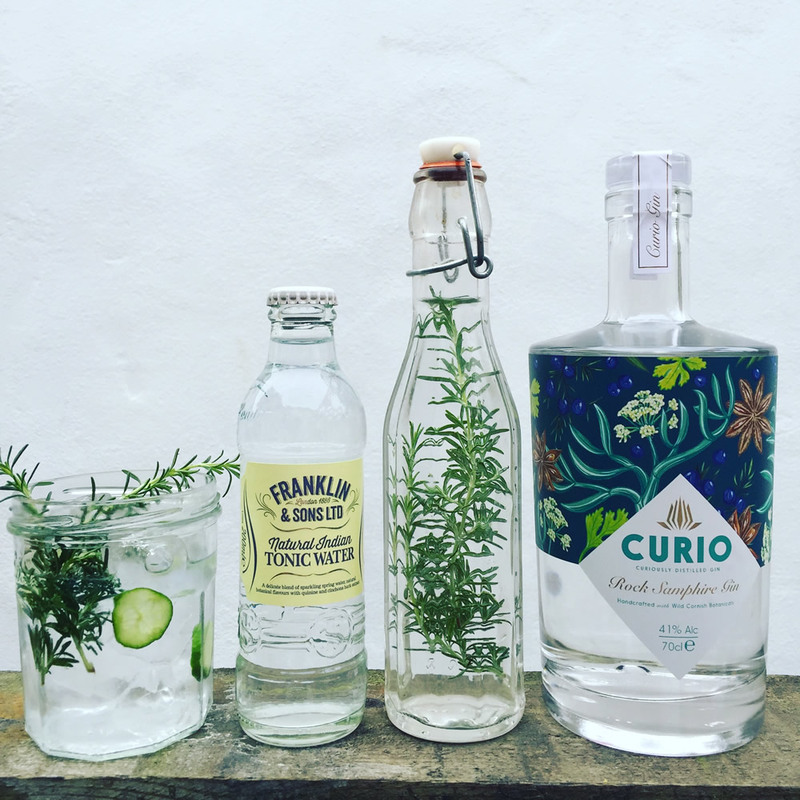 Wonderful for guests to try when they are staying or for any cocktail enthusiastic to chill out to at home. If you have a large crop of blackberries from a Autumnal picking session and don’t know what to do with them then perhaps this recipe will help. Syrups are so easy to make and are a fantastic way of making some delicious drinks by jazzing up some dusty bottles of booze that have been in the cupboard for a while. Jessy and I have been picking this weekend and managed to pick enough to whip up a batch of syrup. And top up with soda. 4. Garnish with a few slices of apple. Now in their second year, Beehive Bars offer a completely bespoke service which include cash bars, event drinks packages, simple bar hire, event staffing, cocktail classes, all tailored to the customer’s specific requirements and budgets. 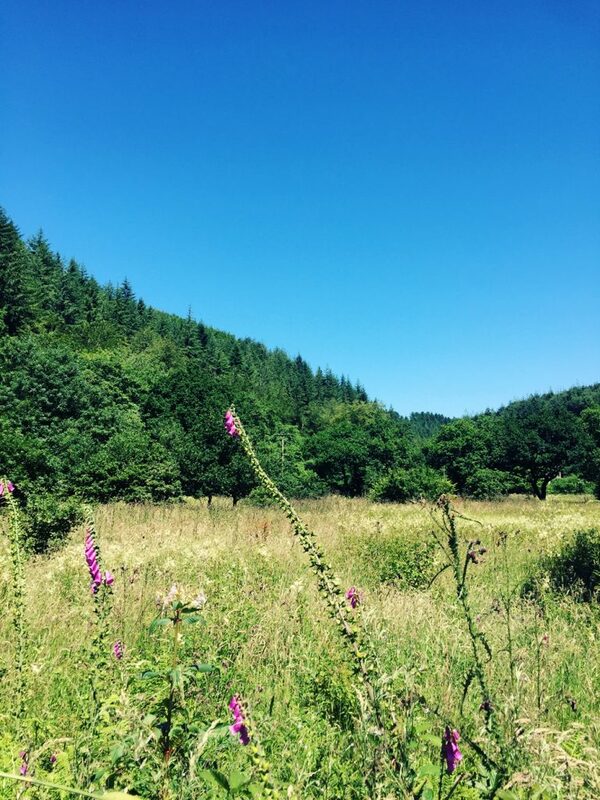 Holiday makers to Cornwall dream about beautiful beaches, wide coastal views and historical tropical gardens, but Cardinham Woods is a lovely hidden secret waiting to be discovered. 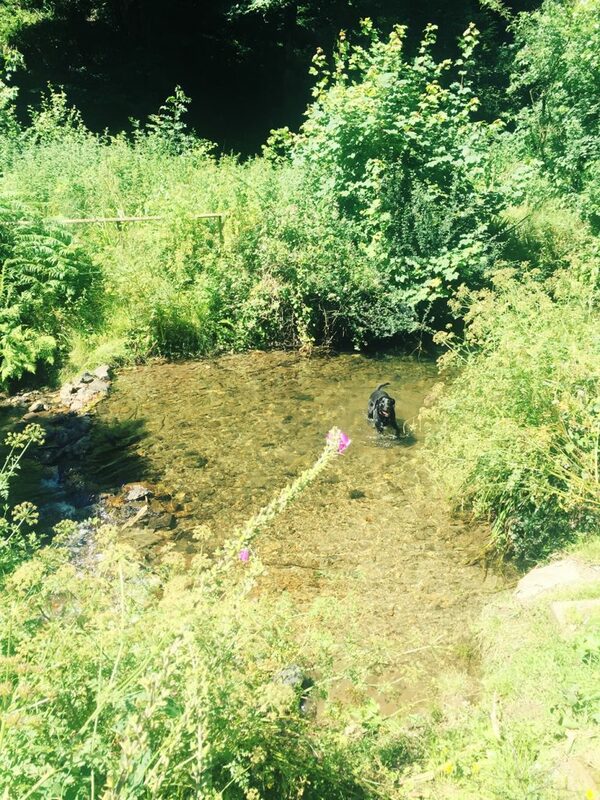 Set in a lush green valley near Bodmin and imaginatively managed by the Government’s Forestry Commission, the multi-coloured mixed woodland makes a perfect day out for all the family, including dogs. Explore four winding waymarked walking trails, identifying trees, the remnants of the old mine and clapper bridge across a free flowing stream, using the free ForestXplorer app (available for iOS and Android). Alternatively hire mountain bikes from Trailmunki and take their advice on the best routes for your fitness level through miles of quality single track left by the mining industry. For children and parents, Badger Forest School and Outdoor Learning is a great introduction to new types of play, adventure and skills, including campfire cooking. They will even teach you how to light your own fire using just a steel and lighter. Great fun as either another holiday activity or for an unusual birthday party. 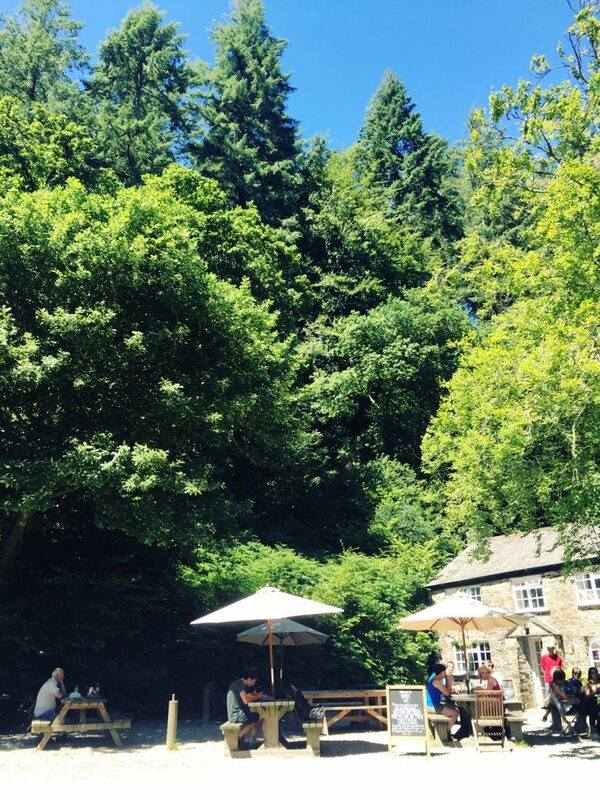 The woods have a large car park, loos and children’s playground at the entrance, with plenty of seating for picnickers and free barbeques for those who want to create their own feast. Alternatively, try the charming Woods Café, nestled below soaring trees. In winter, they have a roaring fire indoors, while their large outside seating area makes a lovely spot for dog walkers to enjoy cakes and coffee or a cream tea. We had a lunch of pea soup with feta cheese, followed by sausage rolls made from well seasoned Cornish pork, a seasonal salad and homemade spicy apple chutney. There is a selection of drinks, including local bottled beers, but glasses of tap water are freely available (and the Cornish tap water is very drinkable.) It was an absolute bargain at £5.95 a head – unlike many tourist locations where a catering monopoly is an excuse to rip off visitors. The water bowls for thirsty dogs were appreciated too. It is so easy to sit and relax at the café that we recommend site seeing and exercising are best taken before a refreshment break. 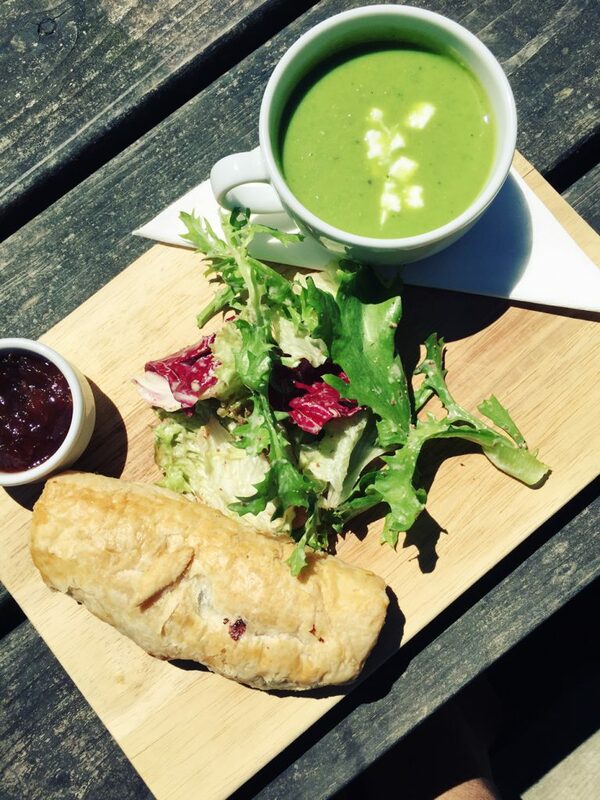 It is a lovely way to end a visit by treating yourself to some fresh homemade food using the best of Cornish produce while chatting about your latest discovery. This is definitely a place which justifies return visits, particularly as the woods reflect the season changes. There are also specially designed activities, with the Autumn Activity Trial now open and a woodland community canvas to display the natural materials you discover on the forest floor. Place all ingredients into a large bowl, except the water. Rub in the fat to flour until it resembles bread crumbs. Add enough water to make a pliable dough, cover with cling film and place in a fridge for 30mins. 01 Fry the bacon lightly to draw out any water, drain if necessary then leave to cool. 02 Meanwhile roughly chop the parsley. 03 Lightly whisk two of the eggs together, add a pinch of salt and plenty of pepper. 04 Cut 2/3 of the pastry, roll out on a floured surface and line the flan tin leaving an overhang to allow to seal the lid and the bottom together. 05 Place the cooled bacon in the pastry lined tin followed by the parsley and the two beaten eggs. 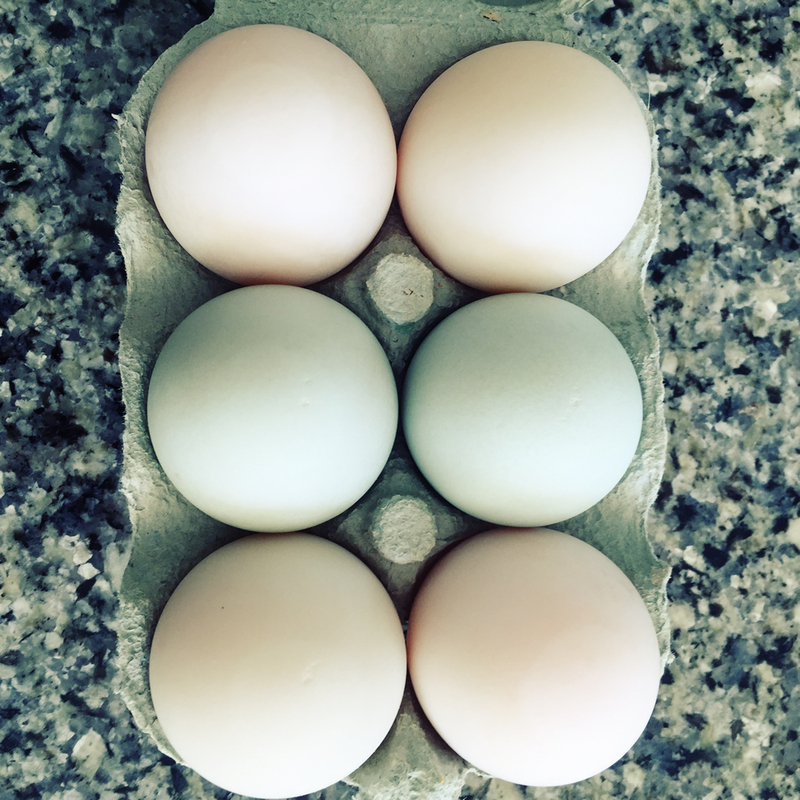 Make six equally spaced indentations in filling and break a whole egg into each one. 06 Roll out the remaining pastry large enough to cover the top of the filled tin, allow an overhang, brush overhang with beaten egg, pinch both pastry overhangs together to seal, make a small hole in the top of pastry lid to allow steam to escape. I crimp my overhangs to seal, but this is not essential. 07 Brush pie top with beaten egg. 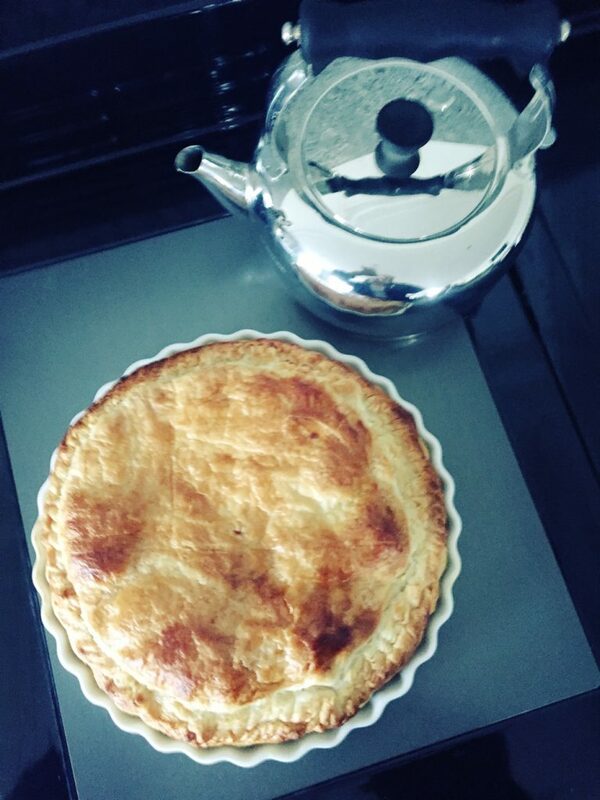 08 Place pie on an oven tray and cook for 35 – 40mins. 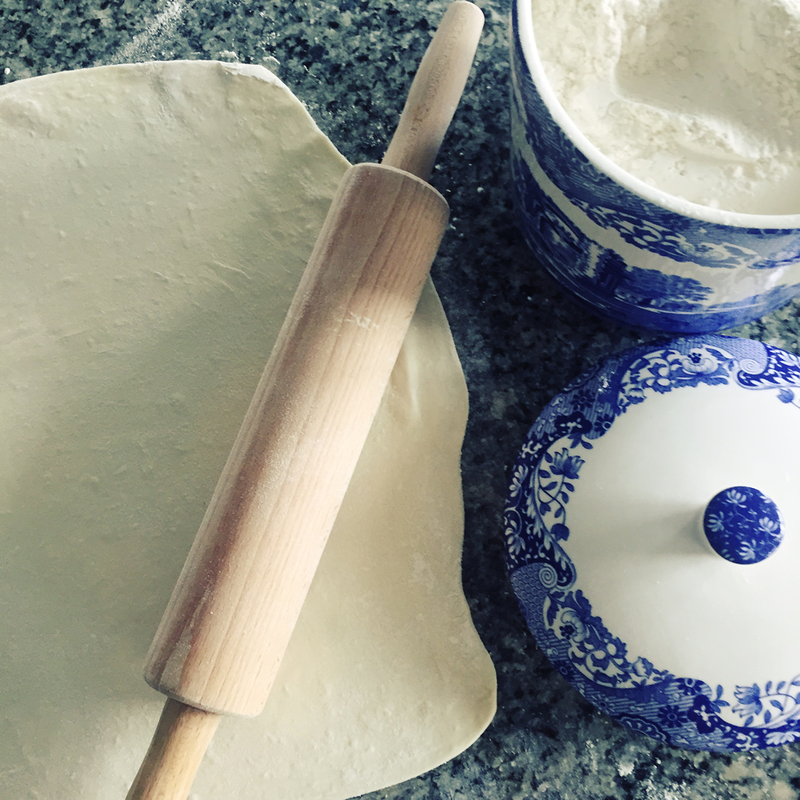 The pastry should be golden and the pie should feel firm when cooked. 09 Allow to cool before serving. Those who are busy can always use a good quality ready made short crust pastry, but do take the time to relax and enjoy this for lunch, a picnic, or for a traditional high tea. 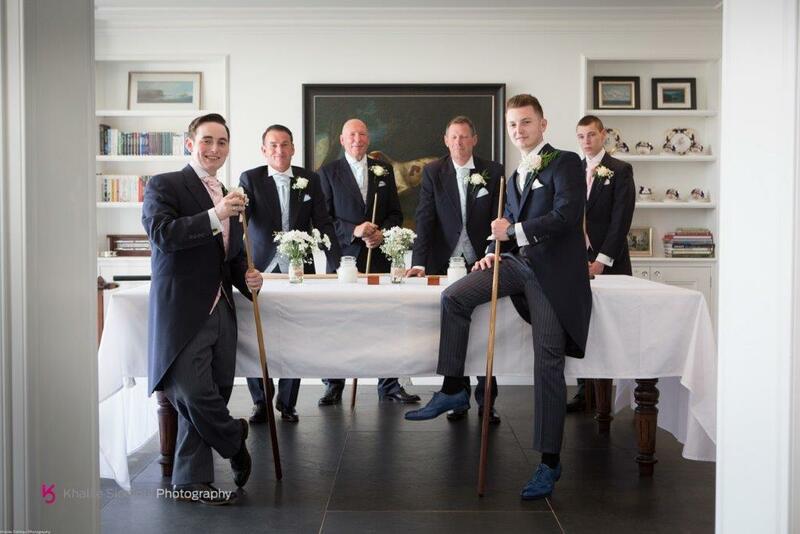 We loved this wonderful video showing Hew Belgrave giving his eloquent groom’s speech at his recent Polpier wedding to beautiful Donna. 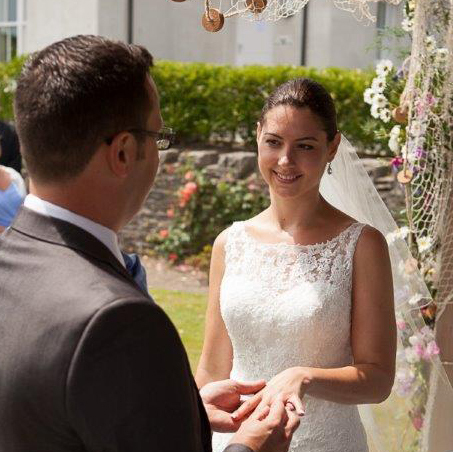 As giving a speech at your wedding can be a scary task for some grooms and it is a pity to let nerves cast a shadow over a day of happiness and fun, we asked Hew to share his top tips. Hew says, ‘I am not a comfortable public speaker, it’s not something I look forward to, so I found the process rather daunting. The key for me was realizing that this was a unique opportunity to say some things to some people that are far too often overlooked. A chance to thank people, appreciate and also openly talk about how much things have meant to me. Rather than focusing on it as a speech, for me, it was an opportunity. I tried my hardest to keep it to 10 minutes, but even a week out from the wedding it was more like 15 and I shortened a few bits to keep it to the point in the final few days. Here are some key pointers that helped me write it. 1) Start early – I started writing notes on my phone about 3 to 4 months before the wedding. Constantly adding or removing bits as better bits popped up. 2) If it’s an “in” joke or story, make sure it has context so all the guests understand. I mentioned a court visit with my dad as a low point in our relationship and then forgot to include that it was for a speeding misdemeanour on the day. 3) Thank key people in your life. 4) If you struggle to recite the story as it is too funny – definitely use it! Laughing your way through the day is a great look. The laughter will also put you at ease. 5) Be honest and open. 6) Be brave, we Brits are not the best at talking about emotions and really thanking people. Don’t miss this opportunity. 7) Write it down and stick to it. 8) I read the speech into the voice recorder on my phone and listened back to it. Hearing it back made me realise some bits were too long, others too short. 1) EVERYONE is on your team. You won’t be battling an uninterested audience. 2) Have written prompts or even the whole thing, with key titles and topics in bold. 3) Don’t worry about stopping to check where you are. You spent time writing this speech, so don’t leave bits out. 4) Really look at people when you are talking directly about them. 5) Take it slow and enjoy it. 6) Don’t have too many beers beforehand! The beer after will be one of the best ever! 1) You will miss bits. 2) You will rush it a bit. The last bit of advice is plan the end thoroughly. By the time you get to it, you will see the end coming and that’s when it can fall apart a bit. My closing statement was, “Finally I would like to raise a glass to those who cannot be here with us, either because they aren’t invited or because they are….. dead”. Now I think everyone agrees there are better ways to close it out. This traditional pudding can be traced back as far as the 17th Century, no doubt because it was made from kitchen staples and would have been a frugal use of old bread and bruised fruit. 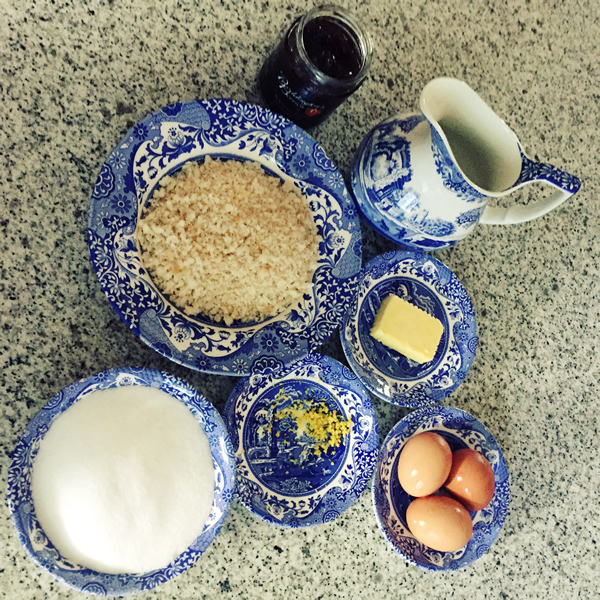 To stand the test of time though, it has to be made with the best quality ingredients to show how easily to hand basics can be turned into a delicious pudding. We use our local Boddington’s raspberry jam, made in Mevagissey and packed with flavor and free range eggs from Lobbs Farm Shop at the Lost Gardens of Heligan. Baker Tom’s organic white loaf is perfect for plump breadcrumbs and, with Rodda’s rich Cornish milk and butter, it means this is a celebration of the best of the county. 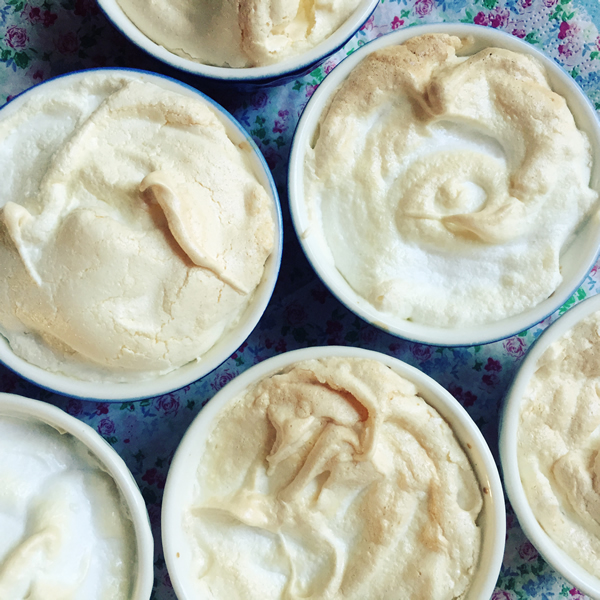 Normally the pudding is served in one dish, but we tried it in six ramekins, smarter for a lunch or dinner party and easily packed for a picnic at the beach. 75g/3oz fresh white breadcrumbs – either made by grating or by whizzing the bread in a blender. A 1.4L/21⁄2pt oval ovenproof dish that will fit inside a roasting tin or six ramekin dishes. 1. Preheat the oven to 170C/325F/Gas 3 and grease a pie dish or six ramekins. 2. For the base, warm the milk in a small saucepan. Add the butter, lemon zest and the 50g/2oz of sugar, stir until dissolved. 3. 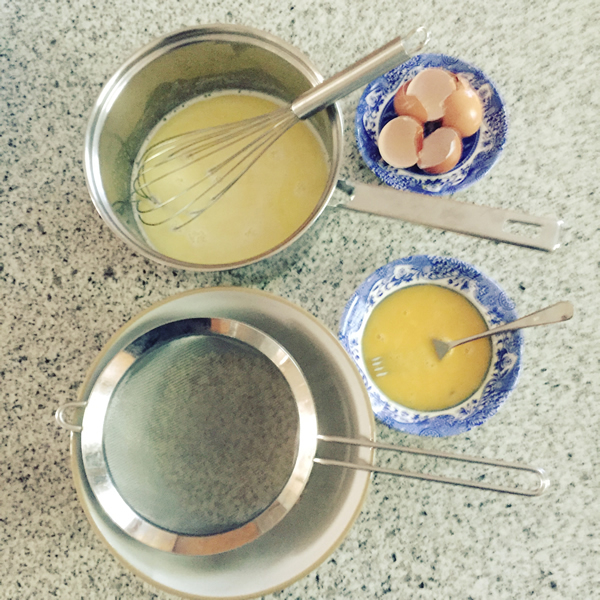 Lightly whisk the egg yolks in a bowl. Slowly pour the warm milk into the eggs, while whisking. 4. 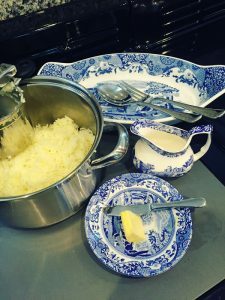 Sprinkle the breadcrumbs over the base of the buttered dish and pour over the strained custard. Leave to stand for about 20 minutes, so the breadcrumbs absorb the liquid. 5. Carefully transfer the dish to a roasting tin and fill the tin halfway with hot water. Bake the custard in the preheated oven for about 25-30 minutes until the custard has set. Remove from the oven and set aside to cool a little. 6. 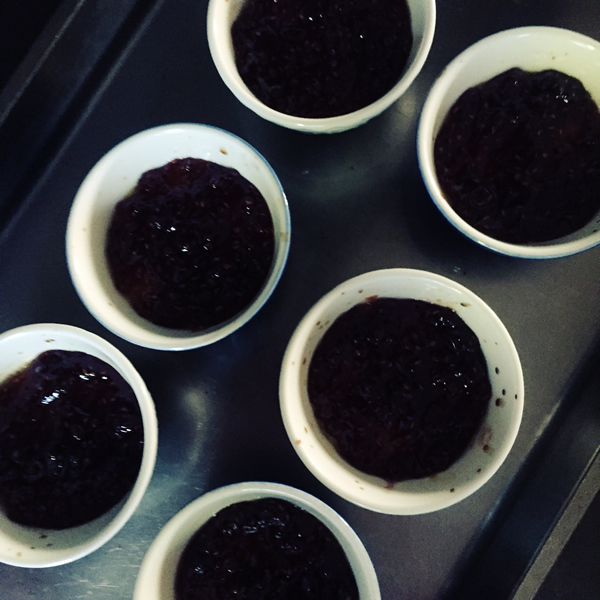 Gently heat the jam in a saucepan and spoon over the base. 7. Run half a lemon around a large bowl to make sure it is fat free and whisk the egg whites using an electric hand whisk on full speed until stiff peaks form when the whisk is removed. Add the remaining 175g/6oz sugar a teaspoon at a time, still whisking on maximum speed until the mixture is stiff and shiny. 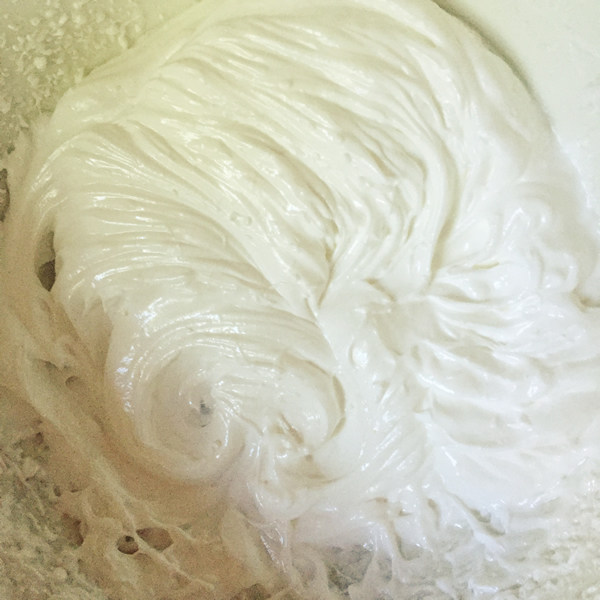 Using a metal spoon, cover the base with the meringue. 8. Lower the oven temperature to 150C/300F/Gas 2 and return the pudding to the oven (not in the roasting tin with water) for about 25-30 minutes until the meringue is pale golden all over and crisp. 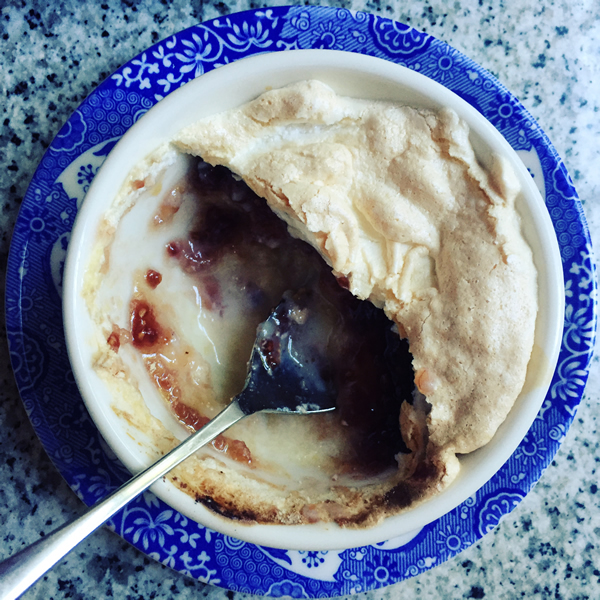 Queen of Puddings may be served hot or cold and is delicious with Cornish vanilla ice cream or clotted cream. 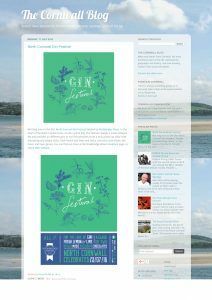 When planning a holiday in Cornwall, a long term move to the county or just indulgencing in escapist day dreams, there is a blog to suit everyone. Here are our favourites. Created by Cornwall’s tourist board, this is the go to site for everything about the county. Particularly good for its What’s On calendar which covers the huge variety of events from country walks and nature to theatre and music. There are also plenty of useful sections covering different groups, be it families with children or people with dogs, and they even – very honestly – have suggestions for rainy days. Seasalt is a successful fashion brand but their blog is much more than just a puff for their clothes. 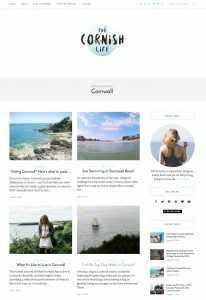 The Meet The Bloggers section gives a clear idea of the personalities ‘shouting out about life in Cornwall.’ With a strong and long connection to the county, their Cornish love affair comes across, whether discussing the trendy Port Elliot festival, behind the scenes of photo shoots or gig rowing. Freelance writer Rachel Wilson-Couch’s highly individual take on the ‘frustrating glory’ of living in Cornwall should be read by everyone who imagines life here is all surfing, blue skies and pasty eating. Whether giving her view of childbirth, the Four Best…Moans About Cornwall or why nolonger a foodie, she always has something interesting to say – even if you disagree with her opinion. As a copywriter and designer, it’s to be expected that Anna Clark’s blog would be beautiful and well written, but it is also fun. She may rave about living in Cornwall, but why would anyone be reading a blog about Cornish life unless they felt something positive about the county? There are also plenty of quirky points of view under her section Rants And Ramblings and useful advice such as What To Pack when visiting Cornwall. 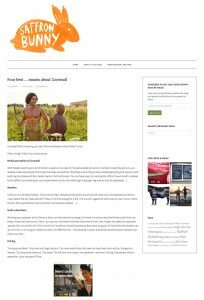 A long running and newsy blog about what is going on in Cornwall with a whole range of subjects from filming of Poldark to festivals and bicycle hire. Well laid out with a useful side section on the most popular posts and clear titles for the archives. Hope you have enjoyed this blog and I am always interested to get your feedback under comments on our polpier_penpol Instagram. 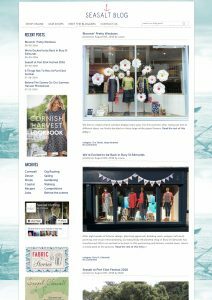 Do follow if you are interested in daily updates of life in beautiful Cornwall and notices of the blog posts. There can be nowhere better to make fish pie than Cornwall with the miles of coast line and fishing industry. Rich with Cornish butter, milk and cream, It is also the perfect comfort food for cosy evenings or, if given an elegant piped potato topping, suitable for a dinner party. With no need for last minute attention, it is also great for larger parties, particularly if popped in ramekin dishes for individual servings. 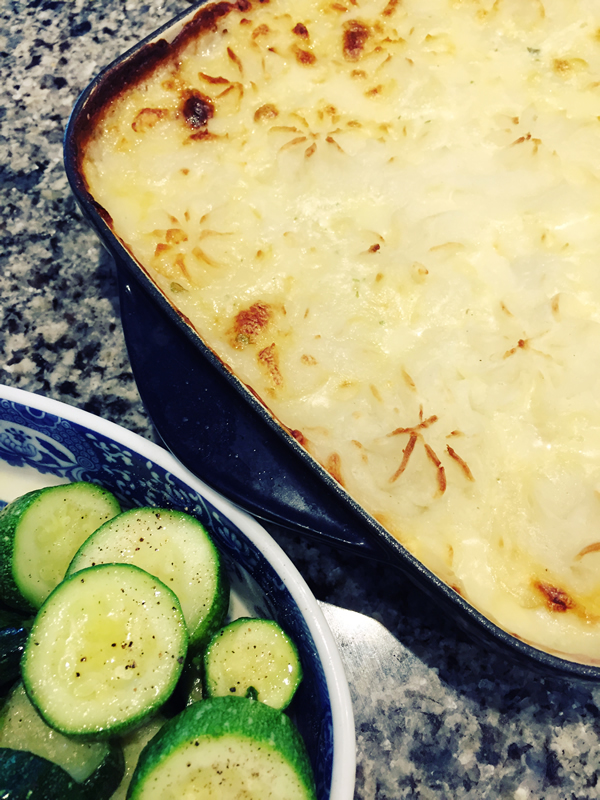 Our Property Manager Amanda Craze is sharing her own recipe of how to make this classic dish. 1. Boil potatoes in a large pan of salted water for 15-20 mins until tender. Drain and mash with butter and cream, add salt and pepper to taste. Place to one side. 2. Skin fish, if required , cut into bite size chunks, place in a wide deep sauté pan. Place the milk, carrot, onion, bay leaf and peppercorns into the pan and slowly bring to a simmering heat for about 4 mins until the fish is tender. Remove the fish and remove any bones, place in a shallow casserole dish along with the raw prawns. Leave the vegetables in the milk liquor for another 15mins to infuse. Remove vegetables, peppercorns and bayleaf after this time. 3. For the sauce, melt the butter in a sauce pan on a low heat, add the flour to make a paste, add the infused milk, a ladleful at a time and keep whisking until smooth. Add the parsley and capers, simmer for about 8-10 mins, do not let boil. Add cream and cheddar cheese, mix until you have a smooth sauce. 4. Pour the sauce over the fish and top with mashed potatoes, either forking over or, for a prettier finish, piping on. For piping the mash needs to be very smooth and add a little more cream if it is looking dry. 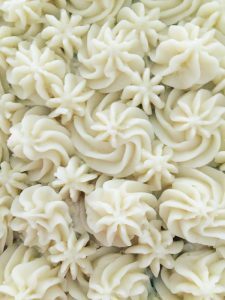 Leave the potato to cool before piping, using a large disposable piping bag with a large star nozzle. A scattering of parmesan can be added for those who prefer a stronger cheesy flavour. 5. Place in the preheated oven and bake for 25 mins, or until golden brown. We serve with fresh green vegetables from the garden in summer and in other seasons frozen peas are the perfect accompaniment and very easy if you are catering for a large crowd. If you have enjoyed this blog, please follow us on Instagram to get daily updates on life in Cornwall and notices of when the next blog will appear. Ten years ago, Khalile Siddiqui was running his own photo lab and doing studio work when he decided to become a wedding photographer. ‘Brides kept bursting into floods of tears about their dreadful wedding photos and it was heart breaking, so that, combined with a friend who wanted me to photograph their wedding, made me decide to branch out,’ he remembers. Now after photographing more than 200 weddings, Khalile is sharing his vital advice on what couples should do to make sure their wedding photographs successfully capture their special day. Check that they use correct protocol and procedure. A sign of that is whether they are not just a member but have a Licentiate (Licence) Associateship or Fellowship of a professional body. 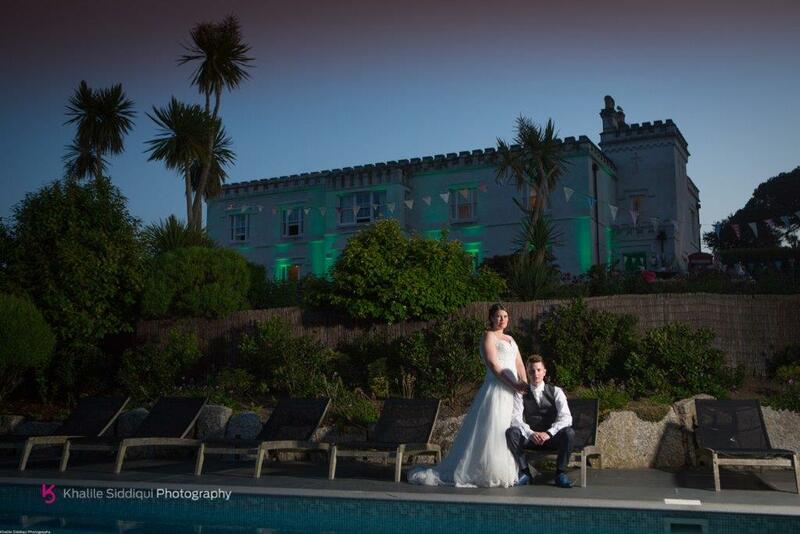 Khalile is a Licentiate of The Society of Wedding and Portrait Photographers which means the quality of his work has been approved by other professionals. Likewise, a photographer who has entered and won awards is showing both pride in their work and that they are good at it. 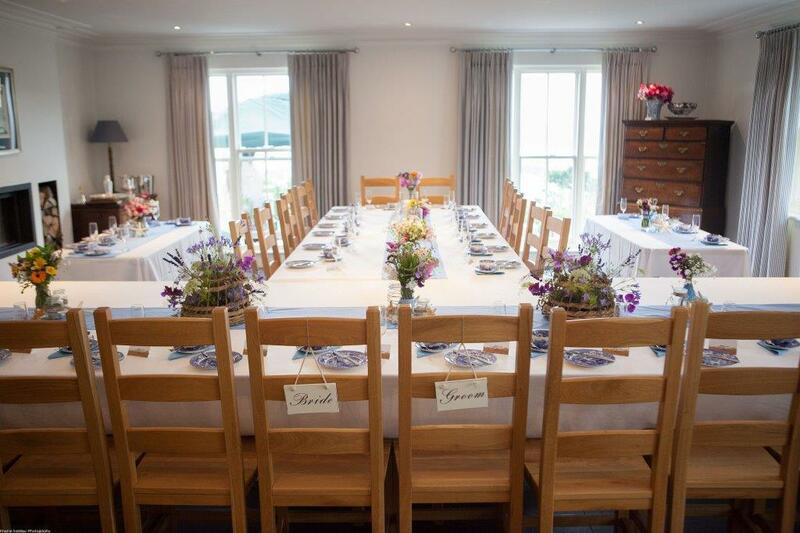 The South West Wedding Award, which Khalile has won three times, has independent judges rather than an easily manipulated Facebook liking system. Check how the photographer safeguards your images. Khalile uses two memory cards simultaneously on the day and downloads the images to duel hard drives immediately after a wedding. Check whether the photographer does their own editing, as Khalile does. Some photographers farm out the images for editing which can result in poorer quality. Do remember though that the photographer can only do so much with editing, this may be an occasion when a professional makeup is a good idea. 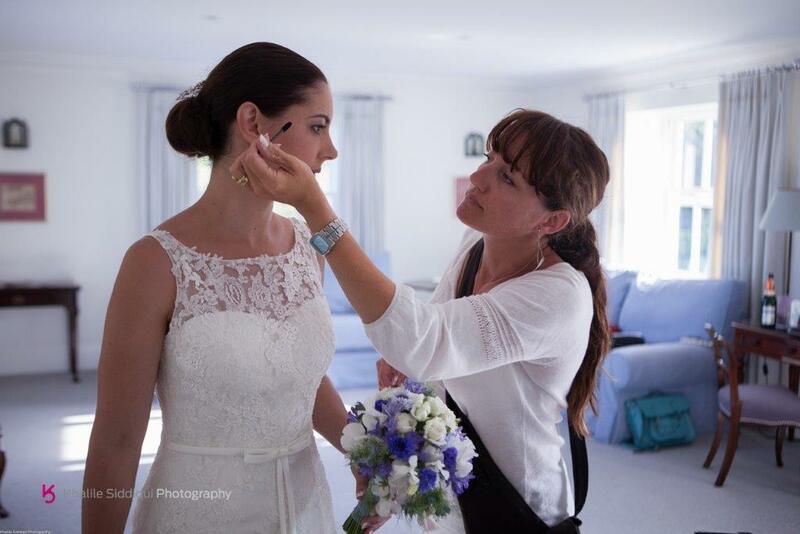 Khalile’s wife Tamsyn, as well as taking photographs on the wedding day too, is a makeup artist and she freshens up the bride’s makeup and subtly change it as the lighting changes. What looks good in the sunlight, is not the same as what looks good under the disco lights. 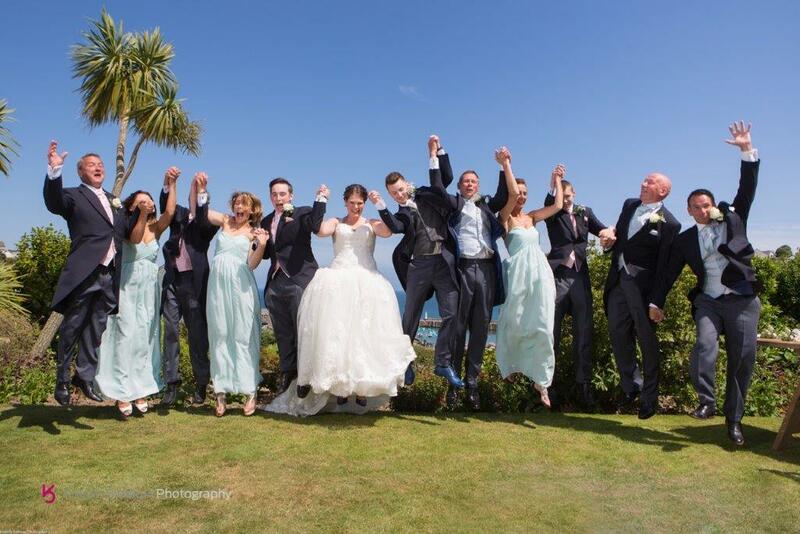 You can view Khalile’s contact details on www.weddingphotographyincornwall.co.uk.